To create the techniques featured in this artwork, follow the helpful hints outlined below. Then use the pattern (Wishes: Lucky Layers™) found on page 27 of our how-to publication Wishes™ for inspiration. Create your own subtle pattern paper by randomly stamping the flower in Saddle ink on Saddle cardstock. Add visual interest to the sentiment by masking the sentiment and stamping the flourishes in Saddle ink. Then, mask the flourishes and stamp the sentiment in Cranberry ink. To create the techniques featured in this artwork, follow the helpful hints outlined below. Then use the pattern (Wishes: Just Right™) found on page 39 of our how-to publication Wishes™ for inspiration. Add a little glam to the Dimensional Elements heart by first sponging the heart in Champagne ink and then sponging glitter gel over it. Set it aside to dry and then repeat the process until you achieve the look you want. 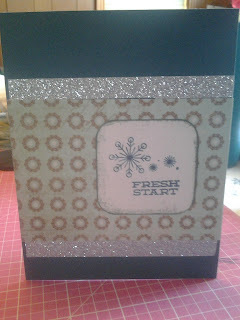 Create your own subtle pattern paper by randomly stamping the sentiment in Champagne ink on the card base. My project features the "B"at from the Cricut Artiste cartridge. It was a little strange to be working on Halloween projects in January but a customer requested that I make some cards for her and here they are. I used an older paper pack called "Hooligans" from Close to my Heart. I cut out the bats on black card stock and used the <fit to page> function. It cut them out at 5 1/2" each and I got two out of a 12x12 sheet. 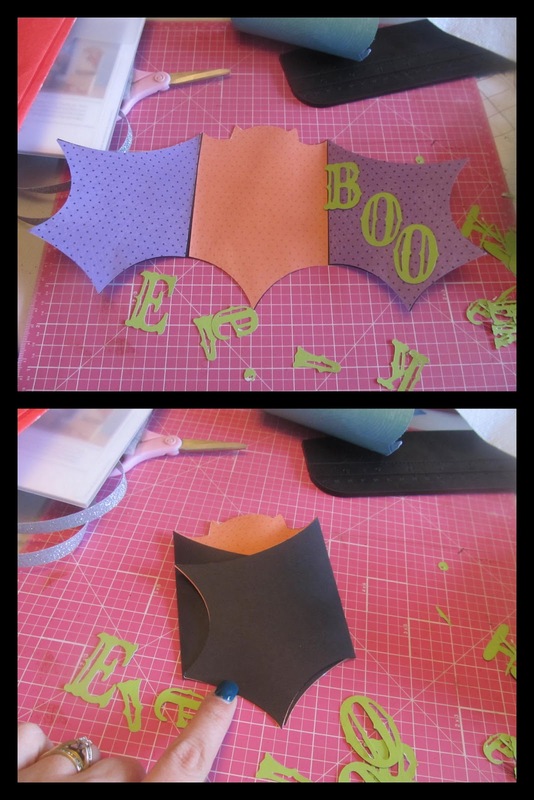 I then cut out the bats on patterned paper at the same dimensions. I cut the wings off of each patterned paper bat and flipped the paper on the other side to show the complementary pattern. 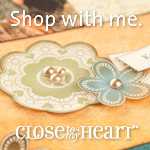 That is what I love about Close to my Heart products, they all complement each other! I scores the bats along the pre-cut score marks done by the Cricut! I then cut out the "Boo" sentiment on green card stock from the same paper pack using the Artiste cartridge at 1 1/2". I then used adhesive to attach all the pieces. The card folds closed to sit inside a standard card envelope. 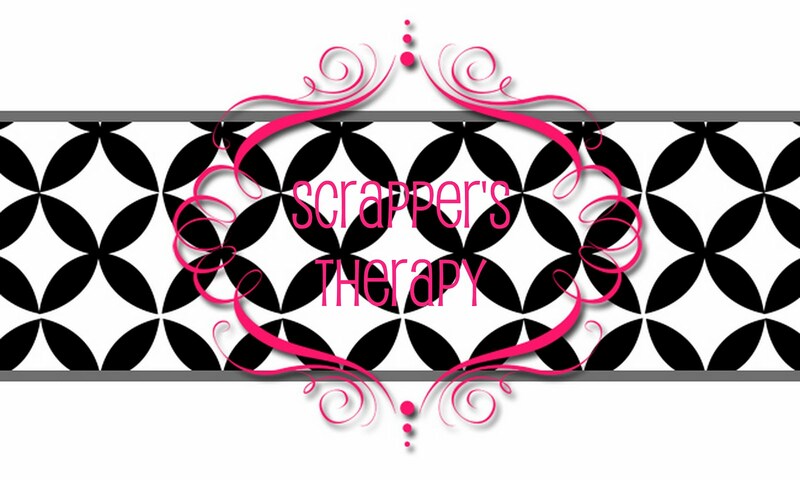 Your next stop on our Everything ABC'S blog Hop is Lucy Kelleher of Love 2 Create. Thanks for stopping by and please leave me a comment to let me know you were here. Happy hopping! To carry the embellishment design across multiple sides of the carton, choose accessories that bend easily, like the Opaques Pearl flourishes. Then gently help the accessory adhere where you want it by guiding it with your finger. To create the techniques featured in this artwork, follow the helpful hints outlined below. Then use the pattern (Make It from Your Heart®: Pattern 15—Left) found on page 34 of our how-to publication Make It from Your Heart® for inspiration. Make your own glitter paper by creating a small puddle of glitter gel on a scrap piece of paper and then tap your sponge in the puddle. Spread the sponge over your paper as much or as little as desired. Set aside to dry. Create your own subtle pattern paper by randomly stamping the flower in Champagne ink on Champagne cardstock. Have you heard of the One Little Word challenge from Ali Edwards? Apparently it has been around for a few years and I have been sleeping under a rock! I have decided to participate in the One Little Word challenge this year. After going g back and forth between "passion" and "purpose" I made a decision. Well I don't know if it was really a decision because I wrote the two words on slips of paper and then drew from them. I didn't like that "passion" came up the first two times so I had my kids pick. 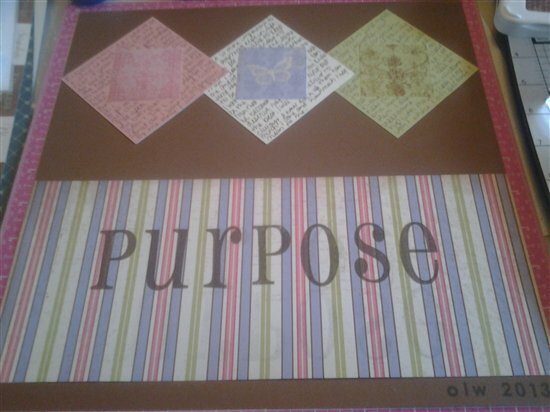 I finally settled on "purpose" because that is what I think I originally wanted anyway, lol and passion drives purpose, right? I used a retired paper pack from Close to my Heart called Life's Delights for the cover page as well as the Friendship Alphabets large and Trinity alphabets. 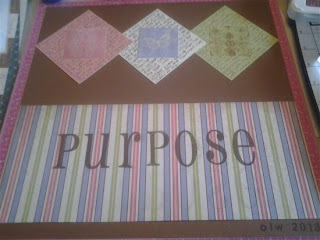 On each of the squares at the top I rambled on about something either professionally, family, or personally related to what i want to find a purpose for. What would your word be this year? Are you participating in this challenge this year? Comment below so we can follow along on your journey as well.